38th day of the year. There were then 327 days left in 2019. 49th day of Winter. There were 41 days left till Spring. 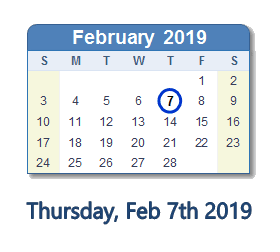 What happened on February 7th 2019? John Dingell, longest-serving member of Congress, has died. He was 92.